If you guys are wondering yet, go read this. Are you thinking "Why on earth would I want to know all that lady? Just tell me the hair makeover story already! 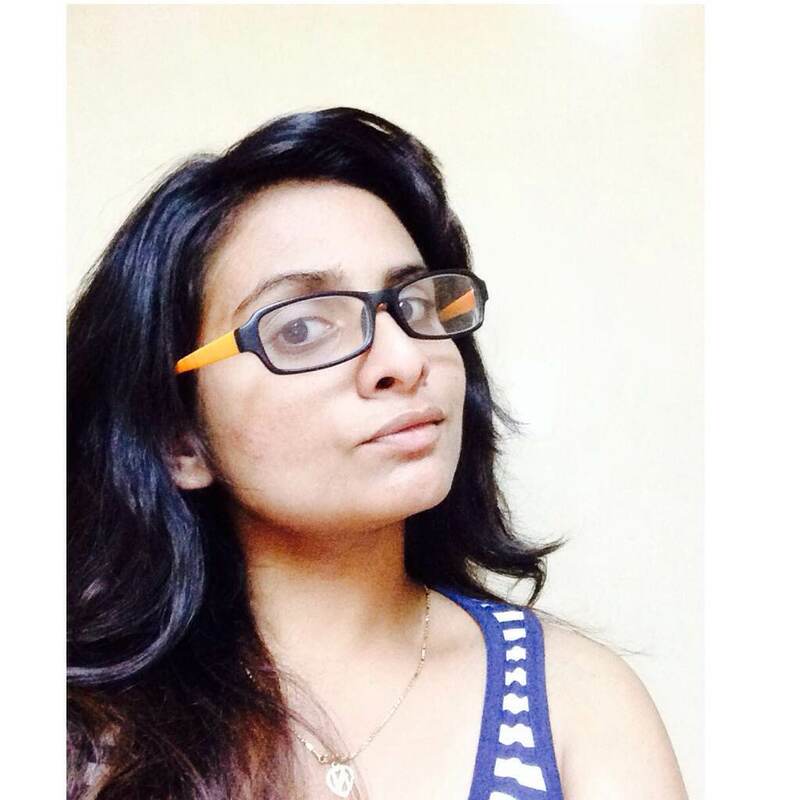 ", well my picture here was clicked after dinner and before 3 AM. After a grueling day, my hair still looks so well behaved. There, I said it. So let me tell you that day's story. 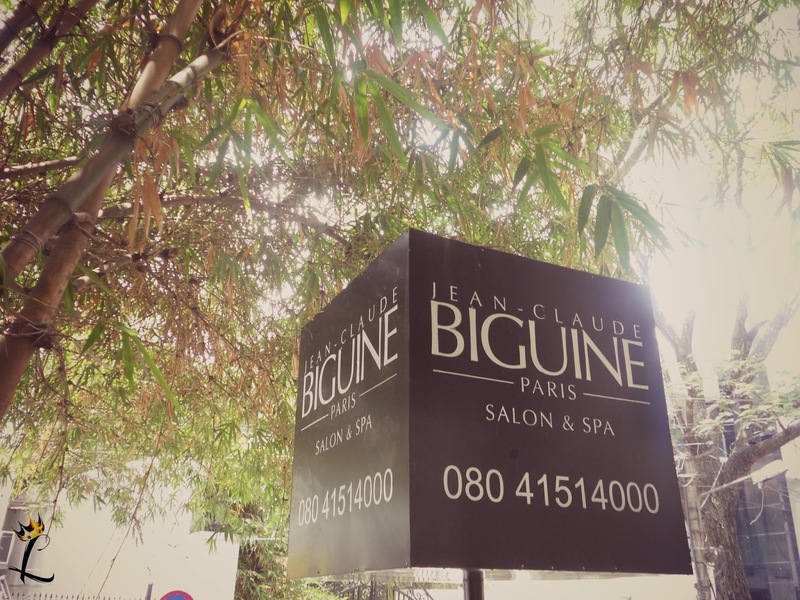 I reached Jean Claude Biguine's branch in Lavelle Road. 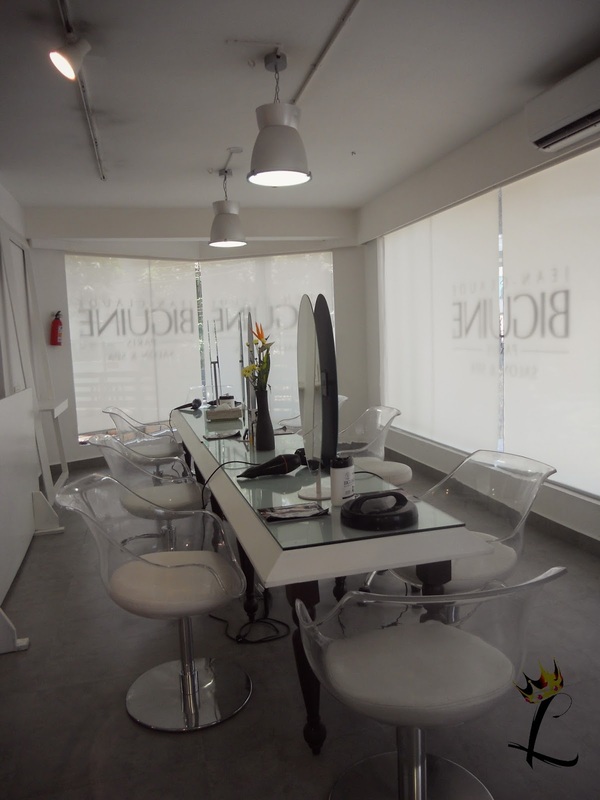 Jean Claude Biguine is a leading French beauty house with salons in Mumbai and Bangalore. In Bangalore, you can also find them at Phoenix Market City.Once I reached, I met Richa, the very lovely damsel who made me feel at home there. Within minutes I was walking around asking questions and supremely excited about my hair makeover session! 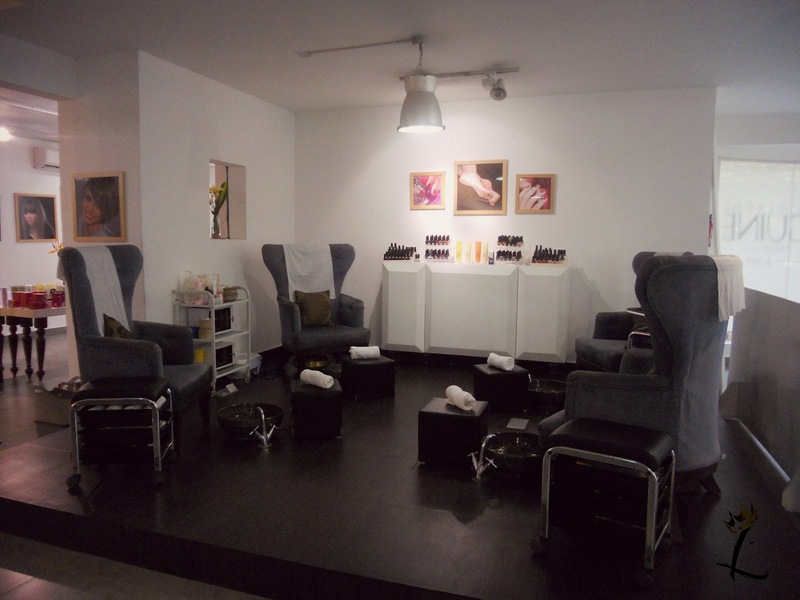 What I loved about the salon is the interiors. Perfect little mirrors away from each other, there is no need of awkward eye contact with the girl next to you every time you look in the mirror! Mr.Samson took over to make my hair human and nice. That's a feat now, I tell ya. 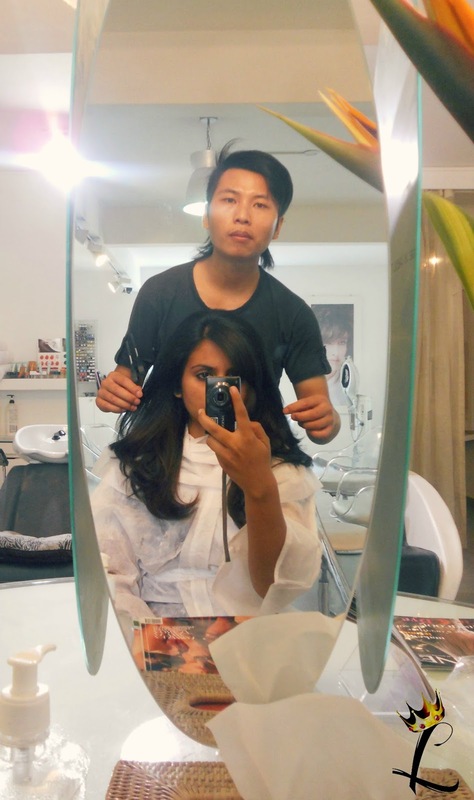 He is a senior stylist and the personal stylist of football player Robin Singh. So yea, I knew I was in good hands. Samson examined my hair and patiently listened to my "I want ombre effect, but I am scared it will ruin my hair. But then I really really want ombre. It will suit my hair know? I think it will. I mean I just want it low maintenance, I honestly don't have time for regular intense hair care." and blah. After that, we decided on a color that would suit my skin tone. Plus as it fades, it will get lighter, magnifying the color effect. And then slowly, completely fade away so that it will be up to me - whether to get it colored again or stay with my natural hair color. While I sat there chattering away, he gave me a dozen tips to keep my hair healthy. 1. Always use a serum with sun protection factor. Nothing damages hair like harsh sun does. Cover hair with a hat/umbrella/stole when under sun. 2. If your hair is like mine -- extremely prone to dryness, then use a deep conditioner in place of your regular conditioner and leave on for a little longer time. I wouldn't mind waking up just five minutes earlier for the little longer conditioning time. I am already seeing wonderful results. 3. A hair spa a month will definitely improve your hair texture. 4. Coloring is chemical treatment. But what matters is how you treat hair after. Choose your products wisely. After the coloring session, my hair was washed and I got a hair cut. Remember how I was using this duo? He decided not to chop away too much length as thick hair requires length to stay in place. The weight of hair will keep it down and prevent BigHairKindaDays. So, he gave me side bangs, and added more layers to my hair. 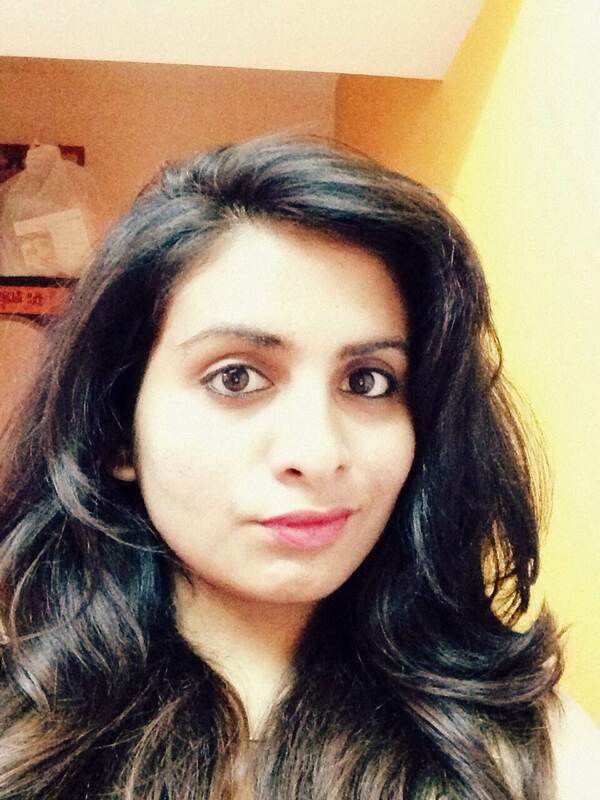 He also took away little volume from the ends, and I swear, that's the best thing that has happened to my hair till date. Happy hair makeover? Check check check! I tried capturing the color on the camera, but no. The color is very faintly visible yet. I shall update you guys as and when it lightens. Here are some more pictures to give you an idea of how it looks. You can connect with them here on Facebook. Thank you Shylaja :) Yes, surely do. They have fantastic service! I was waiting for this post. Looove the new style. Saw it in your Instagram few days back and I was wondering if it was before or after the makeover as the color was hardly visible. 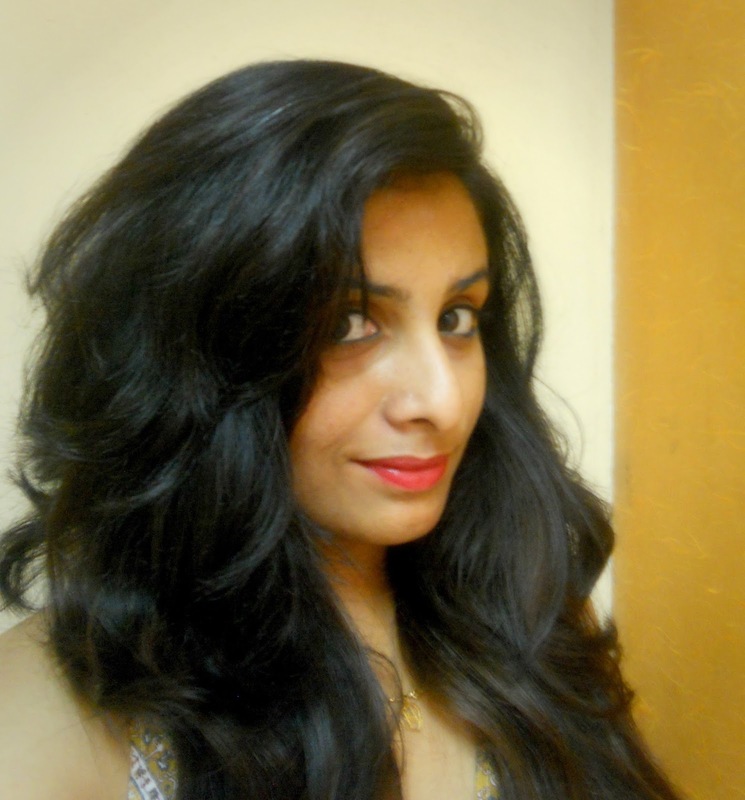 I will be getting mine this week at Lakme Absolute at 1MG mall....Even I will be getting ombre hair color :).Yay!!! 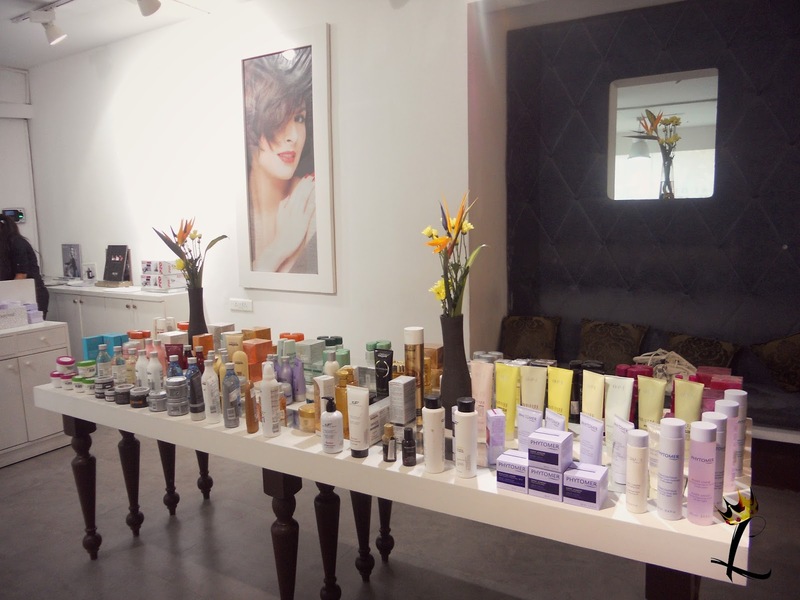 Soukya Essentials - A Review!